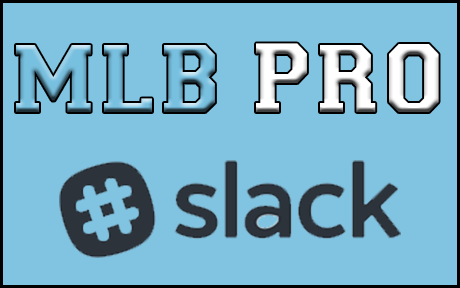 Welcome to the first ever MLB Pro Power Rankings! This will be a weekly column of team rankings based on the votes of the General Managers of MLB Pro. The number in parathesis is the number of first place votes each team received, and the rating is the average ranking each team received based on a reverse points system, e.g. 1st place = 10 points, 2nd place = 9 points, etc. 1) Los Angeles Angels of Anaheim (5) – 9.14 The Angels, owners of MLB Pro’s best record, are no surprise at the top of this list. 2) Seattle Mariners (1) – 8.71 Seattle, fresh of a 4-game series split with the Angels, seem like a legitimate AL pennant if slugger Mark Baker can stay healthy. 3) Toronto Blue Jays – 7.57 The Blue Jays have quietly been chasing the AL East leading Orioles all season, and are finally within 1 game. Will they catch and surpass the O’s? 4) Atlanta Braves (1) – 7.14 The NL’s best Braves might be the clear front-runner for the NL pennant, especially behind the strength in their starting pitching. 5) Baltimore Orioles – 6.29 The Orioles have had the best record in MLB Pro for most the season, but the Angels have finally caught them. Now their attention has to be focused on the surging Blue Jays. 7) New York Mets – 4.71 Since 2012 one thing is for certain: the New York Mets are always a threat in the NL. 8) Colorado Rockies – 2.57 Colorado, who are currently behind the unranked Dodgers and Giants in the standings, are in a dogfight in the highly competitive NL West. 9) Texas Rangers – 1.43 The Rangers have had a fantastic season thus far behind widely unsung heroes. It’s probably too late to the catch the Mariners for that final wild card spot, but Texas has a bright future in the tough AL West. 10) Kansas City Royals – 1.14 The Royals, who started out the season as hot as anyone not named the Baltimore Orioles, hit a mid-season slog and have fallen behind the pack. Can they catch either the Twins or the Mariners for that elusive playoff spot?